GREATER Anglia and GWR have become the latest franchises to offer compensation for trains which run 15 minutes late. Rail minister Andrew Jones is visiting Norwich, Ipswich and Witham today, and chose today to announce the new rules on Greater Anglia. 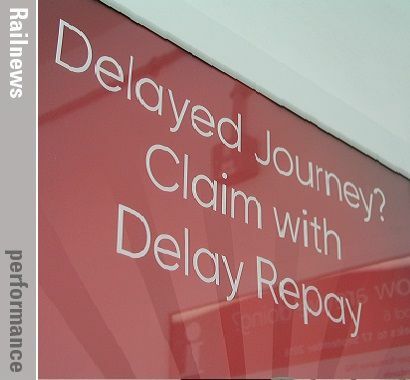 As existing franchises, the GA and GWR contracts would have needed amendment to allow Delay Repay 15, which the government wants to introduce on all future franchises from the beginning. Greater Anglia is also poised to introduce faster services with the timetable change on 19 May, when the long-called for trains doing ’Norwich in 90’ and ‘Ipswich in 60’ will run four times a day. Andrew Jones said: ‘Our top priority is ensuring passengers get the reliable and punctual services they expect, but if things do go wrong, it’s only right that they are compensated fairly and quickly. This is why the launch of DR15 is excellent news for passengers.